It has been a beautiful month, all Tauruses have celebrated their birthdays, it is time for the next zodiac sign to shine. The next constellation is Gemini. From May 21st until June 20th, everyone born under the star sign of Gemini will be adding another year to their life. 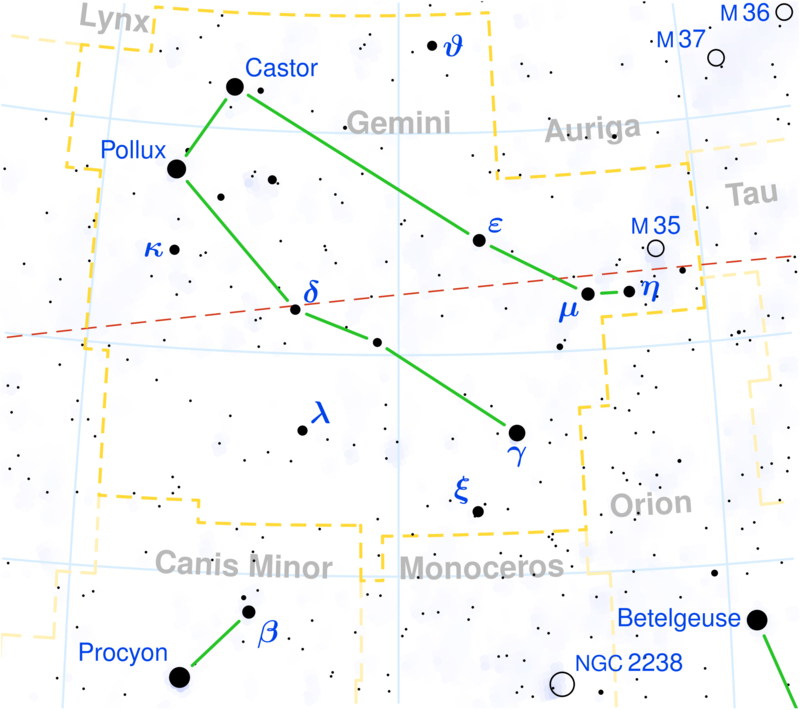 Gemini is Latin for twins, and it represents the brothers Castor and Pullox. These twins have 2 different sides that everyone with this horoscope display to the world. Let’s have a closer look at what makes people with the Gemini constellation tick. As mentioned before, Gemini have 2 faces. You could say that people with this zodiac sign host 2 personalities in 1 body. For people dealing with Gemini, it is always the question which of the 2 they are dealing with. A gemini can be very sociable and thoughtful, only to turn very serious and restless a second later. But like all other zodiac star signs, Gemini have some typical character traits. In general, Gemini are curious, affectionate, open to learn new things, and gentle. They also seem to be very adaptable. As you may have noticed, Gemini are not afraid of change. In fact, they really seem to need change happening in their life in order to stay happy. Because they are so adjustable, Gemini are also very open-minded and easy-going. A Gemini is usually not a person to judge others. The other face of this constant longing for change is the lack of consistency. It is hard for a Gemini to stay interested and focused at their work or hobbies. Their constant change of environment or passion also lets them seem superficial. If you’re not going to stay around very long, there’s no time to dig deep. So Gemini are often, wrongly, seen as superficial. The constant need for change can also be seen as a negative character trait. It could stem from a lack of decision making. Or does a Gemini simply not have any direction to go to? Is this twin star sign just lost all the time? It could explain the nervous and anxious behaviour that is common with this zodiac sign. Together with Aquarius and Libra, Gemini is an air sign and its ruling planet is Mercury. This combined means that Gemini have strong aspects of the mind that rule their lives. They generally know very well how to express themselves. This can be done through verbal communication, or written. Some really great writers were Gemini. But not just authors, amongst Gemini you will find loads of artists that are known for their expression skills. Johnny Depp and Morgan Freeman are just examples. It turns out that Gemini, or twins, is a very fitting name for this zodiac star sign. On the one hand there is this lively expressive person that is up for anything, and within that same person we see a different face, of restlessness and anxiety. These traits all derive from the same source, it just depends on the Gemini in question what mask they put on.